The Women's Health and Reproductive Rights Foundation of Thailand (WHRRF)" is a non profit organization informally founded by Prof.Kamheang Chaturachinda, MS. Nongluk Boonthai and a professional group in 1998 in order to advocate for access of the Thai women to safe abortion and to improve the Thai's women health through standard quality care. Morbidity and mortality caused by unsafe abortion is a public health concern in Thailand. Stigma and Taboo prevented many Thai women, especially those who are underprivileged, from access to quality safe abortion care and suffering or dying from complications of the unsafe abortion. The WHRRF is the first NGO in the country working on safe abortion, women's rights, gender based violence, sexuality and reproductive health. Its missions are to promote women's health and reproductive rights, to improve sexual reproductive health quality services and to increase access to the services for women in reproductive age especially under privilege groups in Thailand. It has been official registered by the Ministry of Interior, Thailand in February 7, 2007. The WHRRF has been involved in programs for prevention of unsafe abortion since 1998 working in collaboration with the Reproductive Health Division, Department of Health Ministry of Public Health (RDH-DOH-MOPH which is responsible for the nation's reproductive health program), the Royal Thai College of Obstetricians and Gynecologists (RTCOG) and the Thai Medical Council (TMC) developing a joint partnership to seek out the solution of women's health and reproductive rights. From 1998 to present, these collaborative agencies have put efforts aiming to reduce unsafe abortion in the country. The prominent work of these four partners was the advocacy for the medical regulation amendment of 2005 that allowed the therapeutic termination of pregnancy to cover "mental health" of women with unplanned pregnancy or of those with fetal disorder/s. This would widen the criteria for abortion (this ended in December 2005 when the regulation was amended and announced in the government official gazette). During 2004-2006, a training curriculum and manual for safe abortion service based on WHO guideline "Safe Abortion: Technical and Policy Guidance for Health System" was developed and training of OBGYNs master trainers from medical schools and regional hospitals in 4 regions of the country and several training workshops for OB-GYNs and General practitioners and nurses on quality abortion care were completed. The training includes use of Manual Vacuum Aspirator (MVA) and introduction of Mifepristone and Misoprostol as medical termination of pregnancy. Working on the very sensitive issue by the government sectors especially in the transitional period of amending the regulation is much more controversial and difficult to push forward. Therefore, Prof. Kamheang Chaturachinda, immediately past President of the RTCOG has informally established the WHRRF since 1998. The foundation has been legally registered by the Ministry of the Interior on February 7, 2007. Prof. Kamheang Chaturachinda is president of the foundation, Prof.Pratak O-Prasertsawat, is Vice President and Treasurer (he is Vice-President of the RTCOG and Chairs OBGYN Department at Ramathibodi hospital and medical school) and Ms. Nongluk Boonthai who has been responsible for all the mentioned programs/activities at the beginning phases is Honorary Secretary General of the foundation. The foundation will collaborate with the DOH, the RTCOG, the TMC and other public and NGO sectors, to promote women's health and reproductive rights, to improve reproductive health services and quality of life of women in childbearing age in Thailand. The WHRRF is a small and dynamic new NGO that needs financial and technical supports. Promote education and research and inform public and professional on the concerned issues. Promote collegiality amongst the health care providers. Provide health information to the government and others interested party so favourable policy can be formulated regarding the present health situation and threats and find solutions to prevent/ mitigate those health threats. Advocate for women's health and reproductive rights. 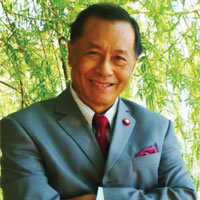 the Founder and Chairman of the Population and Community Development Association (PDA), one of Thailand's largest and most successful private, non-profit development organizations. Since 1974, PDA has initiated community-based family planning services, innovative poverty reduction programs, large-scale rural development and environmental programs, as well as groundbreaking HIV/AIDS prevention activities throughout Thailand. He was a senator . He has recently won 2007 Gates Award for Global Health from the Bill and Melinda Gates Foundation. President of the WHRRF. He was former President of the Royal Thai College of Obstetricians and Gynecologists. He graduated from St Andrews University,Scotland in 1962. Obtained Membership of Royal College of Obstetricians and Gynecologist in London in 1967,Fellowship in 1971, Head of the Department of Obstetrics and Gynecology at Ramathibodi medical school from 1982 till the mandatory retirement in 1997. In 2001 he was elected President of The Royal Thai College of Obstetricians and Gynecologists till 2006. He was also Presidents of Thai perinatal society; the Reproductive Health Society of Thailand; Council member and Honorary Treasurer of the Federation of Asia and Oceania Perinatal Societies (FAOPS) becoming its President in 2004. Much of his life was spent in medical education of undergraduates and post graduate training of Thai Physicians, especially on unsafe abortion and delivery of safe abortion service in the medical school (at Ramathibodi Medical School), the use of manual vacuum aspirator (MVA) and hypertonic saline in the termination of second trimester pregnancy in the 80's as well as designed an appropriate training model for Laparoscopic practice prior to operating on patient. Vice-President and Treasurer of the WHRRF. He is also Vice-President of the Royal Thai College of Obstetricians and Gynecologists. He is the Head and Chair of Department of Obstetricians and Gynecologists (OB-GYN), Ramathibodi Hospital, Mahidol University initiated and continues to provide clinical abortion services and teaching the use of Manual Vacuum Aspiration-MVA for termination of pregnancy to medical students postgraduate residency program since 1980's. developing a training curriculum and a manual for OB/GYNs and general practitioners on gender based violence, domestic and sexual violence. Copyright © 2010 สอส แห่งประเทศไทย. All Rights Reserved.